Spikes in book sales can’t be guaranteed. Traditional book publishers try to build up anticipation before a book is released via advertising and reviews. There can be a big event or ‘launch party’ followed by a book tour. The aim is to make as big a splash as possible, because when a book looks like a best-seller people will get curious and try it just to see what it is all about. The build-up phase starts nine months before launch, and typically ends six weeks after the launch. If the books aren’t selling much after six weeks, it’s a flop and the publisher will turn to the next one in line (if they haven’t done so already). Bookstores might start sending copies back to the publishers, and the author will find it hard if not impossible to get another advance, because the first one will never be paid off. In traditional publishing, if your first book doesn’t sell well, it can kill your writing career. If the book does take off then great, but then such authors probably aren't reading this blog, LOL, they're too busy writing their next book. With ebooks it is much harder to make such an initial splash, since there is no physical book (usually) and virtual book tours are hard work and do not have the same impact as seeing and meeting people with a physical book ready to sign. Advertising is expensive and often does not generate enough sales to cover its cost. Trying to get ebooks reviewed is very hard indeed, there are simply too many new e-titles and e-authors out there, and many places only respect traditional publishing houses. Some half a million titles are released each year, so how on Earth is yours or mine going to get noticed? So, what is an ebook author to do? I tried many things since my first ebook came out in February 2011. The sequel came out the following December, along with a paperback version of book 1, followed by a paperback of book 2 nine months later. The release of the paperback versions (I did a book launch for book 1) did help sales of the ebook, but not big numbers. Reviews on Amazon (4 or 5 star) are important, though some books sell well with only a handful of good reviews. There have to be some reviews, and some good ones, not just those written by the author’s family and friends, either. If an author has published short stories either in a magazine or an ezine, then reviews by those publications are an obvious choice. As one of my publishers noted, if you blog a lot, or just well, your google ranking will go up, so that when someone 'googles' your name or your book title, it's you/the book that appears, not someone else with the same name, or (worse still) another book with the same name. We tried a three-day ‘free’ sale of the second book, and there was a big uptake (>1000), and it caused a spike in book 1 sales (ebook, not paperback). But within a day or so it was back to normal. 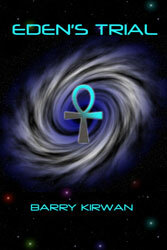 Ebook 1 (The Eden Paradox) sold 300 copies in 24 hours in the US market. Ebook 2 (Eden’s Trial) quickly caught up, both books entering the top 100 SF category, ebook 1 always in the lead, reaching #11, and both ebooks occupying #1 and #3 in the ‘Space opera’ top 100, and ebook 1 also getting into the ‘Thriller’ category for the first time ever. I suddenly found myself in the Top 100 SF writers, at one point ahead of my favourite Iain M Banks and briefly rubbing literary shoulders with Isaac Asimov! The Eden Paradox got to around #450 in Fiction overall. Two weeks and about 1500 sales later the two ebooks are still ‘hanging in there’ at around #67 in Space Opera for book 1, book 2 has just left the charts. My publishers and I still have little idea what triggered the spike. What is fairly well-known though is that once a book reaches a 'Top 100' category, then Amazon starts ‘pushing’ it to other readers, suggesting it to them. Book 1 is better categorised than book 2, mainly because it is a crossover book in terms of genre, a science fiction thriller, whereas book 2 is definitely SF and space opera. Book 1 was in the top 100 of five categories, whereas book 2 only made it into 3, so there is a lesson there for sure. When the splash comes with an ebook, the main thing is to be ready. A good-looking and professional website, one that looks ‘established’; a blog; a Facebook page for the book(s) and twitter feeds if you are into that. Amazon’s Author Central is also important, a brief description about the author, which is as close as most readers are going to get to actually meeting the author. Reviews on Amazon are obviously important, though some books sell well with only a handful of good reviews. One advantage of ebooks over paperbacks is that Amazon isn’t exactly going to run out of stock. The ‘one-click delivery’ system is better than having to wait for a book to be printed and shipped or delivered to a bookstore (though I love bookstores and never want them to disappear). I think the two books definitely helped each other, and I only wish the third ebook (Eden’s Revenge) had been ready (due out in January). Both books have dropped out of the charts then re-entered them, from which I (happily) deduce that people are reading and liking them and telling others about them (word-of-mouth). The total sales have still not reached the ‘mid-list author’ league of ten thousand sales or more (for true ‘best-sellers’ add another zero), but it has been invigorating to watch and to see what Amazon can do for small Indie e-publishers or self-published authors. And here's an advertising site ebook authors might try, called 'Ask David'. It's free, really. 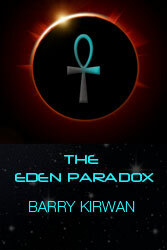 The Eden Paradox and Eden's Trial are available from Amazon in ebook and paperback formats. 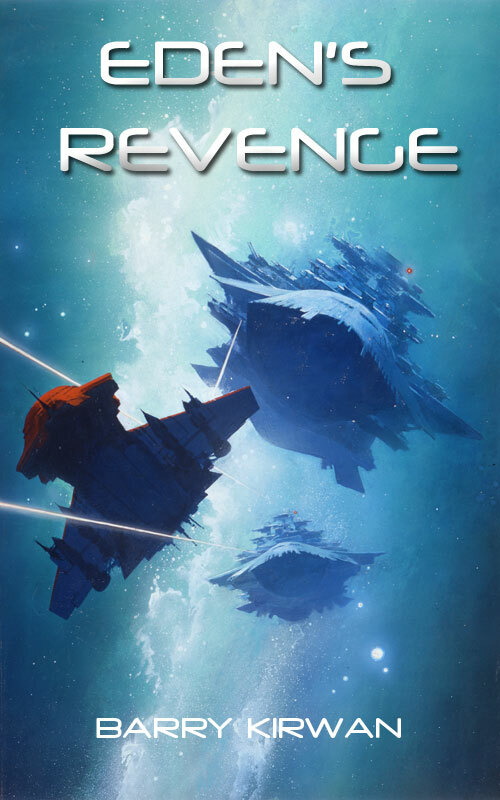 Eden's Revenge is being released in January 2013. Must there be conflict on every page? Science fiction and war: grit or glory?